Annuities can create a steady income after you have retired. They can be quite beneficial, but also confusing. 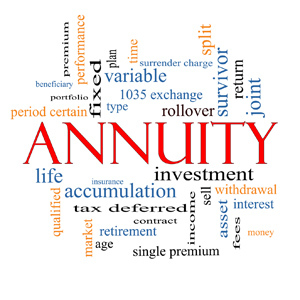 If you are thinking about buying an annuity, keep reading for more information. An annuity is an agreement between you and the insurance company. The insurance company will make a series of payments in return for a premium or premiums that you have paid. Many buyers purchase annuities in order to have a regular income when they retire because it is an investment. An annuity should never be used in order to reach short-term financial goals. 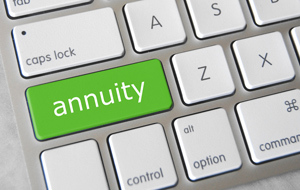 An annuity may or may not be the right purchase for you. If you have questions regarding your retirement planning, please consult one of our financial planners who can make sure that you are on the right track to reaching your financial goals. There are various types of annuities, each carrying their own level of risk and guarantee. In order to choose the correct type of annuity, you first need to know the different types. Variable Annuity – the insurance company invests your money (minus applicable charges) into a separate account based upon how much risk you want to take. The money may be invested in stocks, bonds or other investments. Equity-Indexed Annuity – a variation of a fixed annuity, the interest rate is based on an outside index. The annuity pays a base return, but can be higher if there is an increase in the index.